A totally raw 4 week plan to personal health transformation based on 1450 calories for female health, vitality and strength. This ebook is in PDF format. After checkout, you will be redirected to a download link and will receive an email with the download link as well. Purchasing this eBook entitles you to 4 weeks of support from the Nazafit support team. Based on 1450 calories, this book helps you build strength and vitality the natural way. Unlike most raw diets that are low in protein and high in fat and carbohydrates, this book outlines a diet high in plant based protein, low in fat and moderate in carbs. 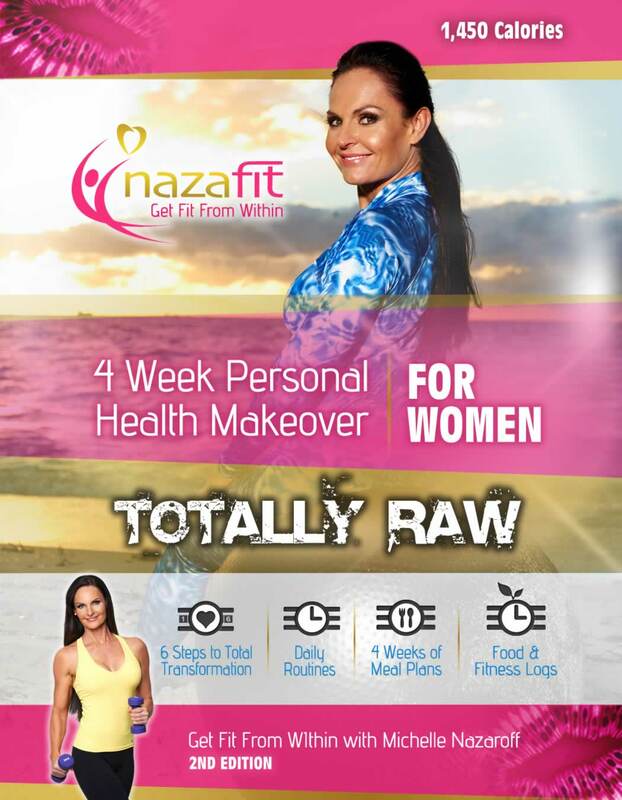 Now in it’s second edition, the previously named Nazafit High Protein “Raw” Fitness Eating Plan has been pumped up with more content and information to give you the tools to sustain the Nazafit lifestyle. healthiest and tastiest options to ensure you don’t get bored! If you are not taking a vegetarian path, the 4 Week Personal Health Makeover for Women may suit you better as it offers more calories and cooked foods including meat. 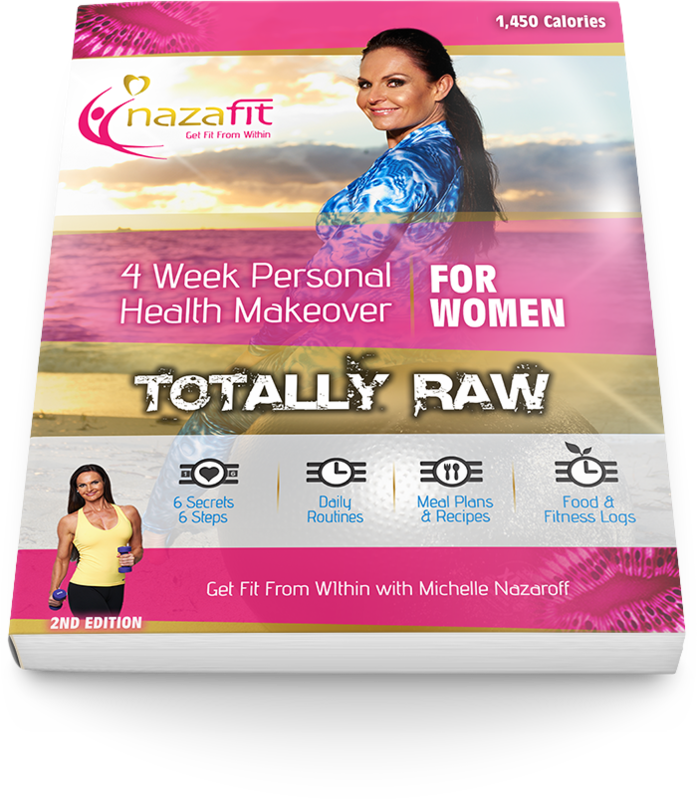 If you are a couple taking the Nazafit whole food journey together, you may be interested in the partner ebook 4 Week Personal Health Makeover for Men – Totally Raw. Once you purchase this program you will be sent an email with a download link for the ebook. We ask that you let us know when you’ve started the makeover so that we can open support to you. This is not totally a DIY program as we request that you complete food & fitness logs and send us a progress report so that we can provide you with support and encouragement. Logged in member? ask a priority question.